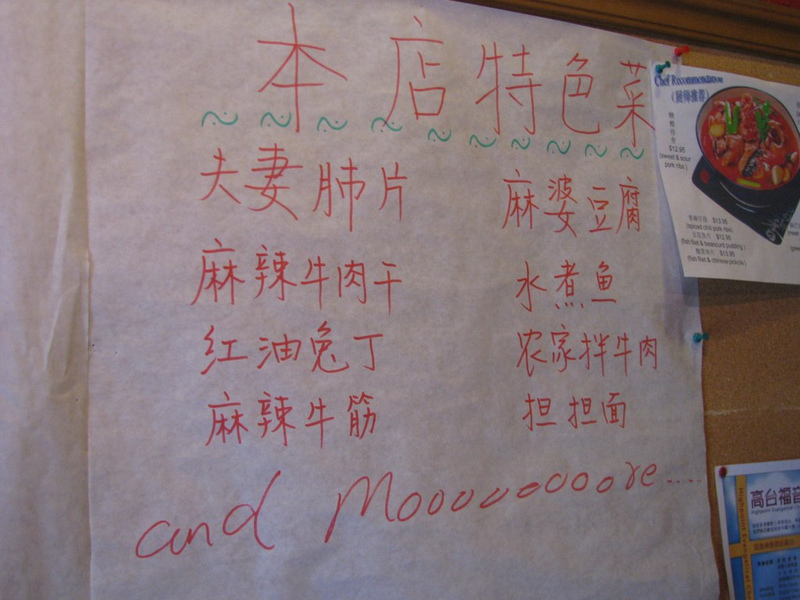 A theory: the further a Chinese restaurant is from OSU, the harder it is for the proprietors to believe that non-Chinese guests could appreciate their traditional preparations. China House is about as far from campus as any restaurant in Central Ohio with a Chinese menu could be, and, well, yes, yes we can use chopsticks. Honestly! We would like to, too. With the sustained application of polite insistence, the desired menus and utensils were acquired. Further efforts yielded these 4 dishes: Broccoli with Lily Bulbs, Seafood Longevity Noodles, Beef Stew Radish, and Wen Chang Chicken. 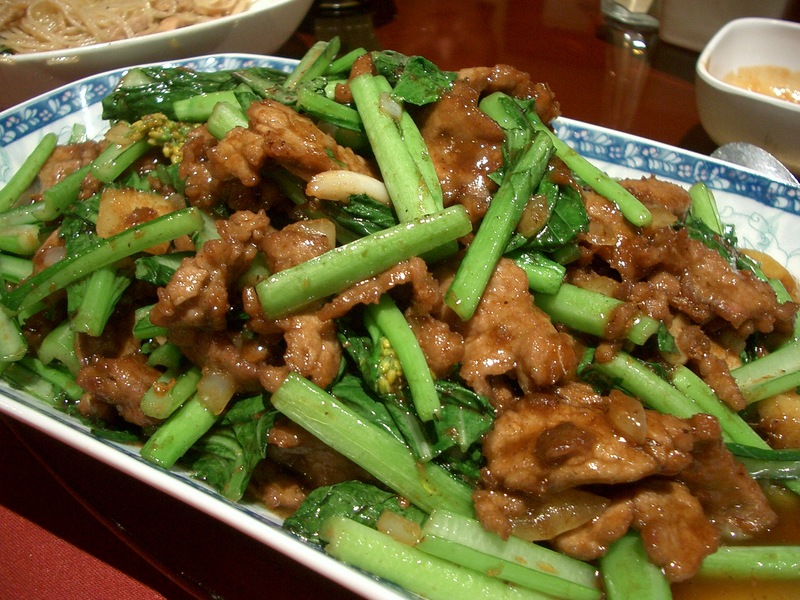 We eat a lot of green vegetable preparations in Chinese restaurants, and none have been better than China House’s Broccoli. 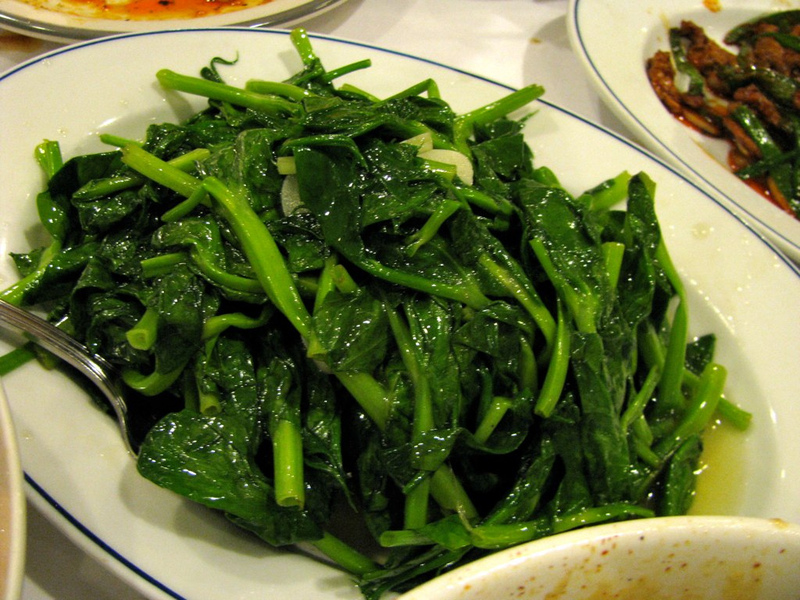 It’s Chinese broccoli, of course, and the minced lily bulbs made for an intriguing water chestnut-like accompaniment, but the real trick was of a goldilocks nature – not too oily, not too dry, not too salty, not too bland. And, the broccoli wasn’t over cooked (or undercooked!). Just right. 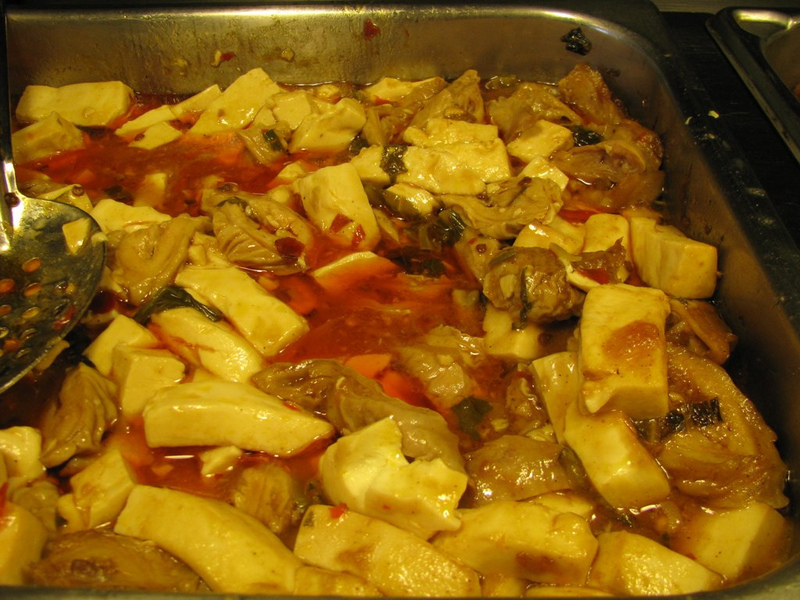 Beef Stew (with) Radish is a common sight on menus geared towards a Chinese audience. China House’s version was entirely in keeping with previous experiences, featuring tender beef, beef tendon, large chunks of radish, some veg, all in nice thick gravy redolent of Chinese 5 spice. Those of us who enjoy the traditionally assertive 5 spice flavor and are comfortable with the texture of tendon gave it a solid thumb’s up. Seafood Longevity Noodles were a bit divisive – everyone appreciated the flavor and enjoyed the generous portions of shrimp and scallops within, but the mushy texture of the noodles was both argued to be typical of the genre and, to several of us, thought unpleasant. The Wen Chang Chicken confounded. It was half a chicken, butchered whole and bone-in, plus head! So far so good – jibes with previous experiences. But, it was covered with what we’re pretty sure was egg roll dipping sauce. There was lots of excessively polite discussion regarding this curiosity at the table, but when we left it was largely untouched. 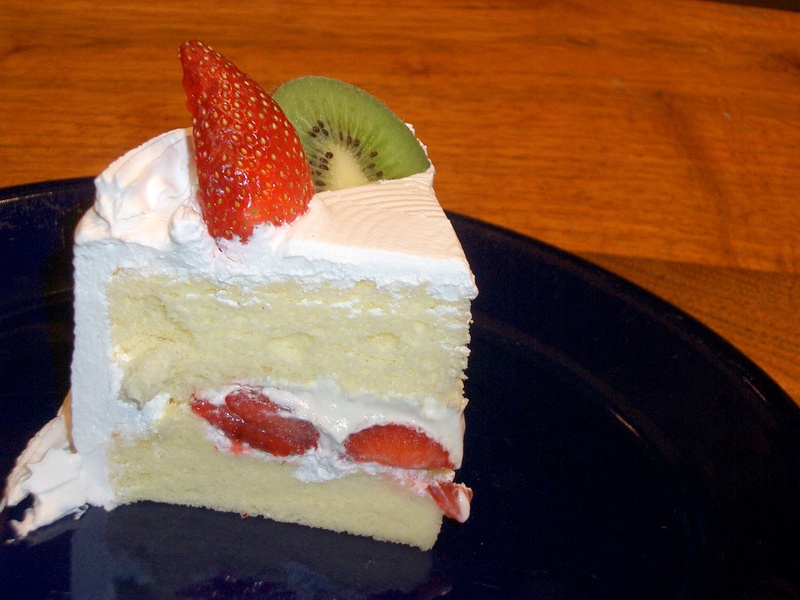 In summation: Four dishes – two hits, two misses. The menu is large, and more exploration would likely yield more gems. Help us! 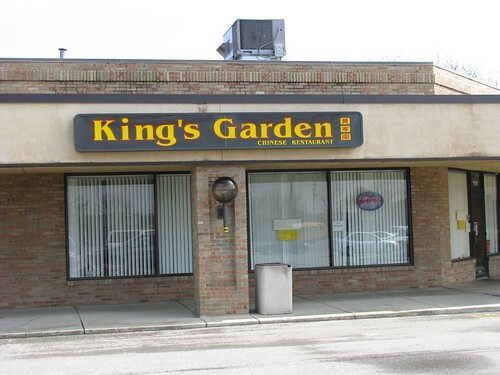 King’s Garden has been around for a while, but what caught our attention was an ownership change that shifted the restaurant’s focus from Beijing-style Chinese to Cantonese-style. 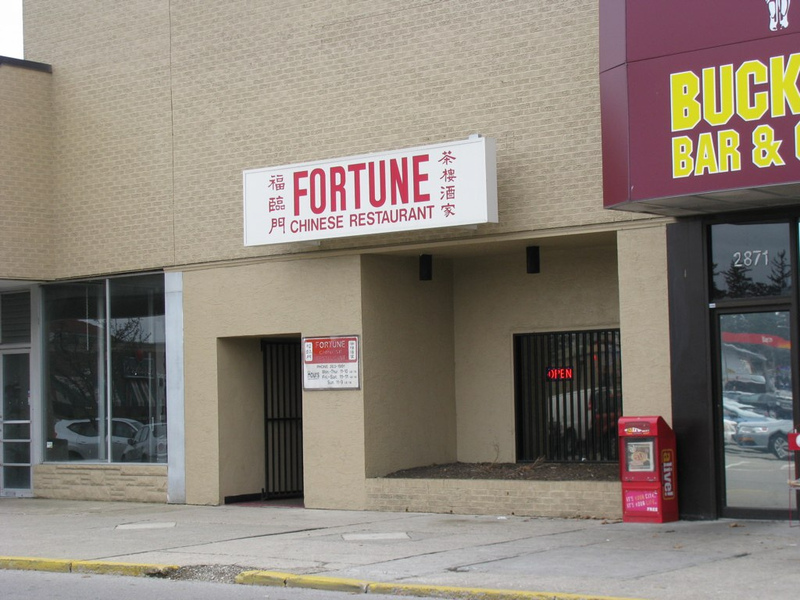 The new owners have a long history of running solid Cantonese restaurants in Columbus; the husband used to own Shangri-La on Cleveland Ave., the wife’s family use to own Wong Gei on campus, and her brother runs Yau’s on south campus. Our eating team dove right into menu and test-drove some classic Cantonese dishes. 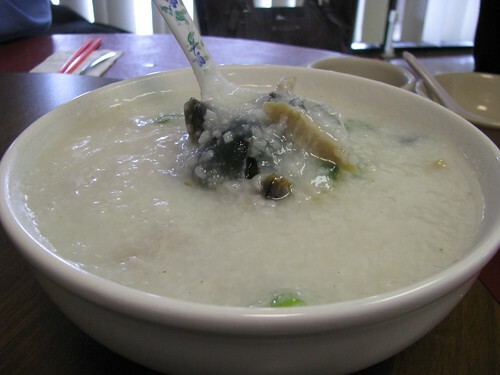 Congee is rice cooked down with water at a very low temperature until it has a creamy consistency. This is usually served for breakfast and it cooked with different savory items like chicken, beef and etc. 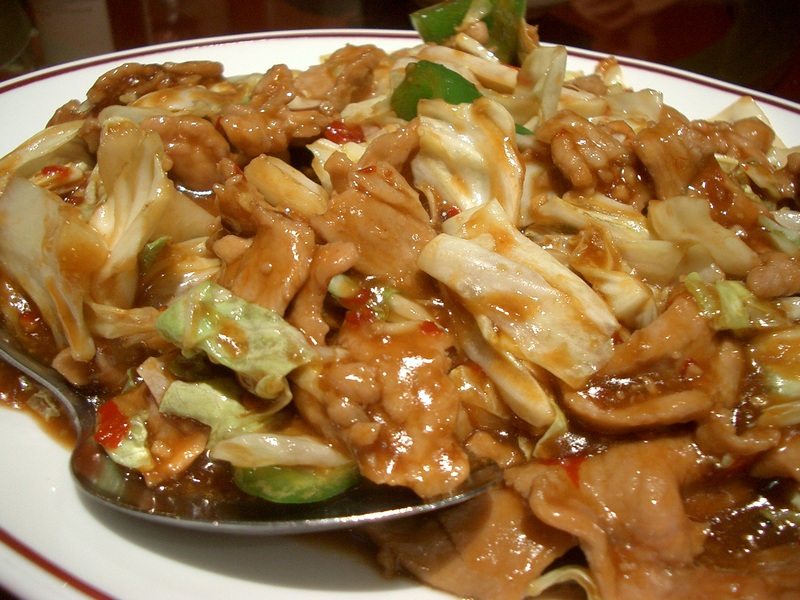 The version above is made with century/preserved eggs and pork. It was cooked to the right consistency and the subtle sweetness of the meat and congee was punctuated with the slight pungent taste of the century eggs. 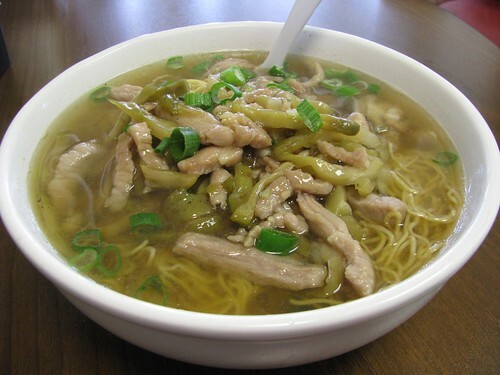 The pickled vegetable with shredded pork noodle soup usually comes with rice vermicelli noodles but this version came with the heartier wonton egg noodles. It was very satisfying with its salty, porky broth. 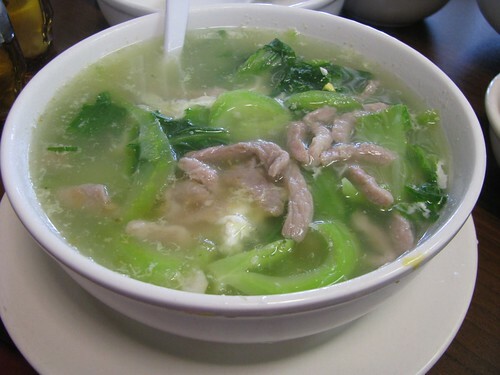 This vegetable and pork noodle soup is different from the one above as this soup is thickened by eggs. The soup was velvety and the combination of the vegetables with the pork gave the dish a subtle umami taste. 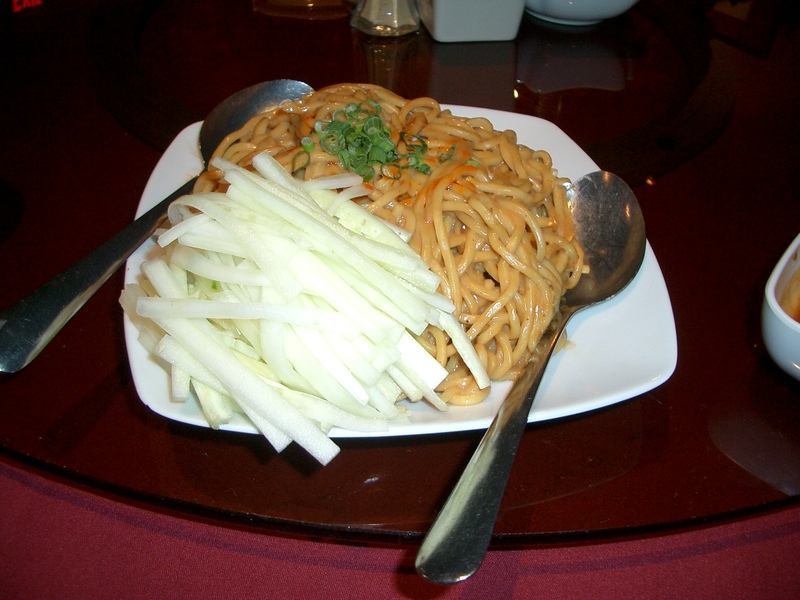 The seafood pan fried noodle was a welcome change after all the soft texture of the previous dishes. 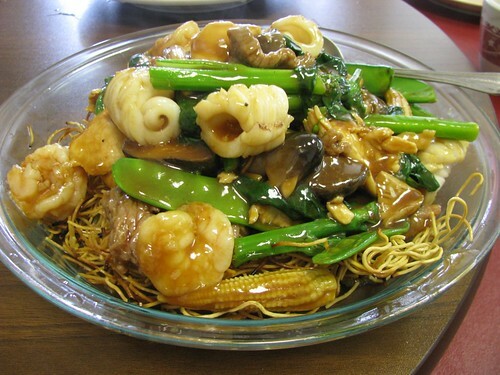 The noodle is quickly deep fried and placed at the bottom of the plate to be covered in a wonderful soy/oyster corn-flour thickened sauce. The sauce will slightly soften the noodles but not completely so that you can have a wonderful combination of soft and crunchy texture. 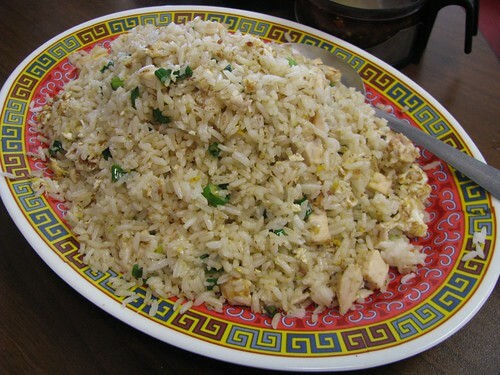 Normally I would never order fried rice in in Columbus because it almost always comes out to be a soggy oily mess. King’s Garden’s fried rice is the exception. This salted fish with chicken fried rice was the epitome of wok hei and skill of the chef. Every single grain of rice was enveloped by the heat of the wok resulting in a non oily and flavor packed dish. I can now rest in fried rice/wok hei peace in Columbus. 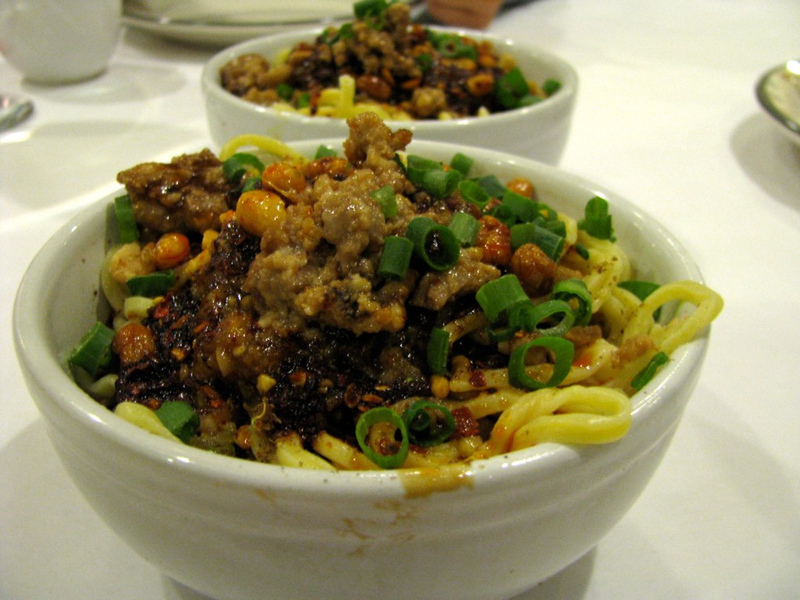 If you enjoy tendons and brisket, the beef stew pan fried noodle is a must order. The tendons and brisket has been braised for hours turning them into buttery meat goodness and is a great companion to the pan fried wide rice noodles. If tendons are not your cup of tea, you can order either the beef stir fried noodle or beef rice noodle with black bean sauce. We were all extremely happy with the quality of food and pleasant service. 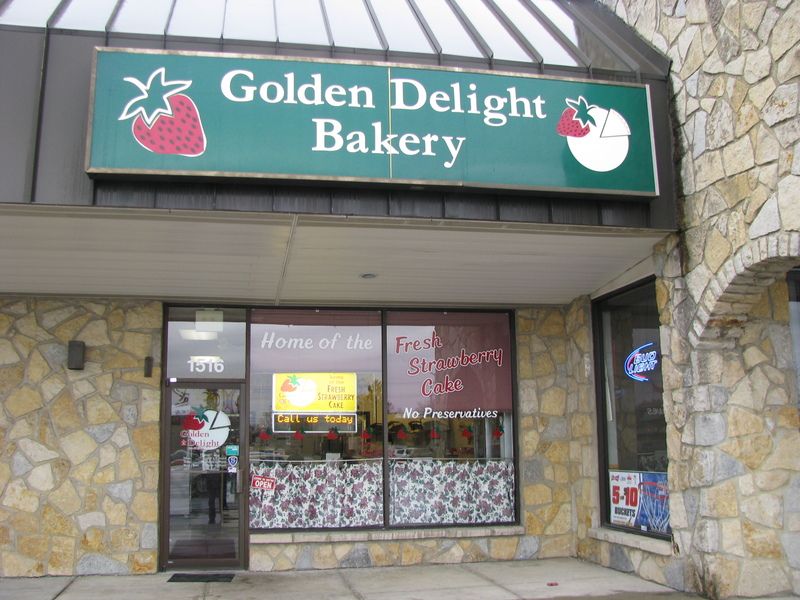 The only downside for most of us is that this place is not in our neighborhood. For those who live in Dublin, this place should be your go-to Cantonese restaurant. The folks here at alt.eats would like to issue a formal apology to our readers: we’ve been holding out on you and we’re really sorry. The weekend buffet at Imperial Garden is so extensive, it required several repeat visits before we could coherently write about it. Every time we go, we spend too much time eating, and too little time taking pictures and notes. For a comprehensive list of buffet offerings, take a look at, our friend, ChoosyGourmand’s blog post. We like to start in the back room, where the spread consists of soups, snacks, and desserts. There are always three soup options, a salty soup of the day (such as fish with pickled mustard greens), an unsweetened fresh soy milk, and a sweet red bean soup. 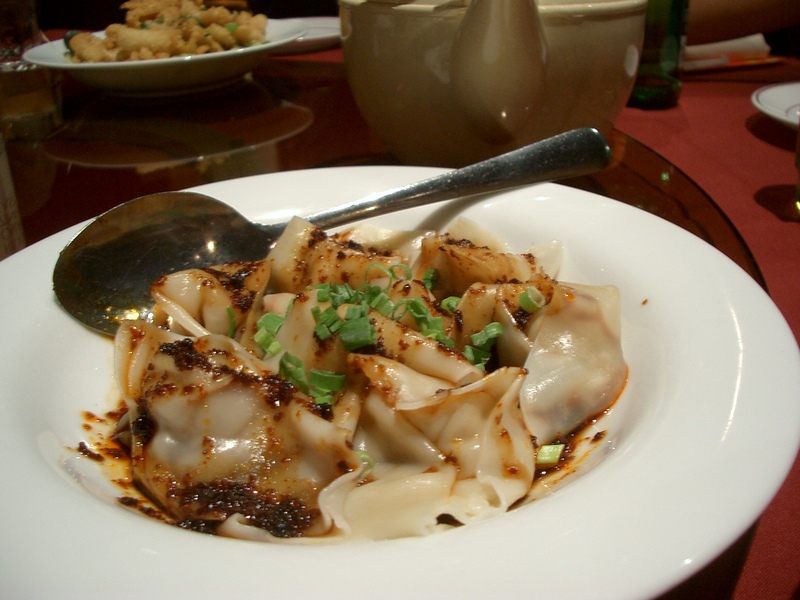 There are also a dim sum items like sesame balls, noodles, dumplings, and fried crullers. 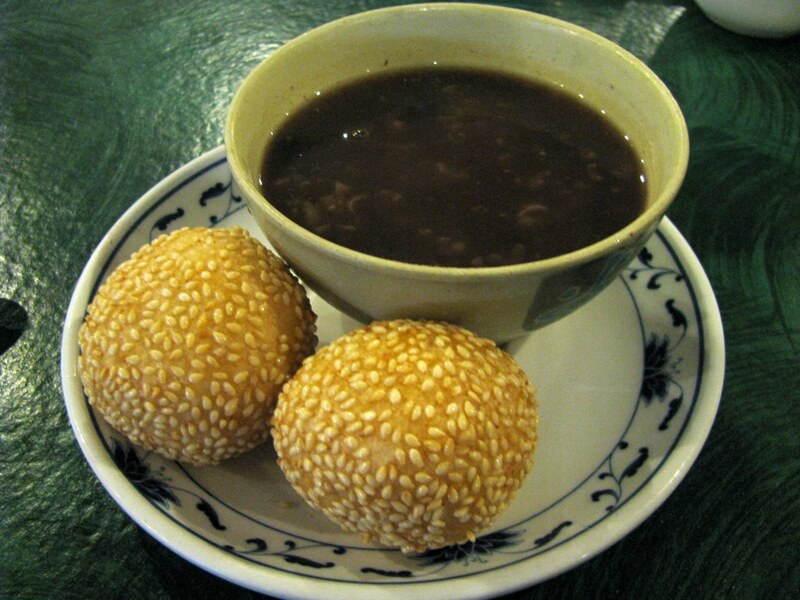 We like to save the sweet red bean soup and fried mochi sesame balls filled with peanut paste for the end of our meal. A note for the uninitiated: the sesame balls are very popular so keep an eye out for them or they will be gone before you blink! Don’t fill up in the back room because the double steam tables in the front room is where all the goodies are! Since Rod has done such a great job documenting each dish, we’re just going to highlight our favorites. Above, clockwise from top: braised beef tendon with bamboo shoots, roast duck, julienne pressed tofu with bamboo shoots and pork, braised beef with turnips. Salt and pepper crispy shrimp. “Salt and pepper” is a common preparation method for fried squid and pork chops. 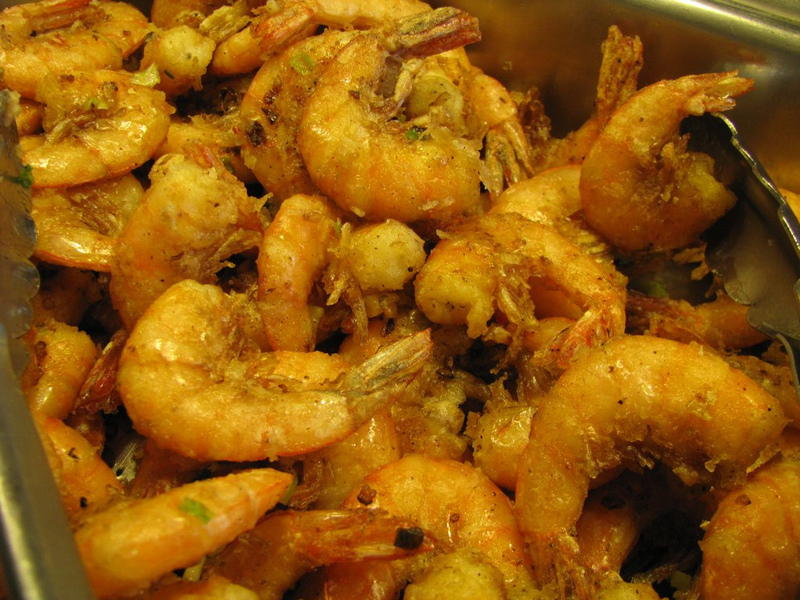 These shrimp are excellent and can be eaten whole or peeled. Perhaps my favorite item of the entire buffet is this Sichuan peppercorn fish filet. 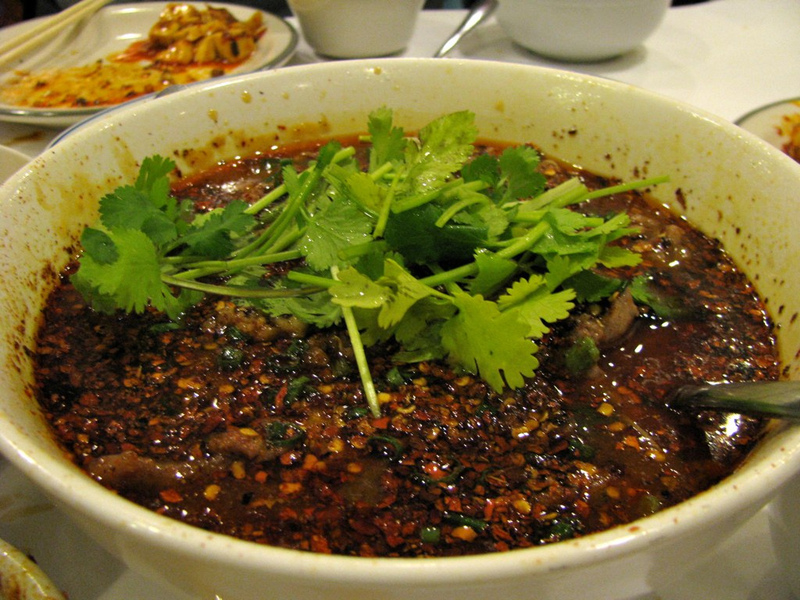 It’s made with chili oil and Sichuan peppercorns which gives two layers of heat, front end spiciness from the chili oil and tongue numbing spiciness from the Sichuan peppercorns. Pig ear and wilted romaine salad dressed in a delicious sesame and chili oil sauce. 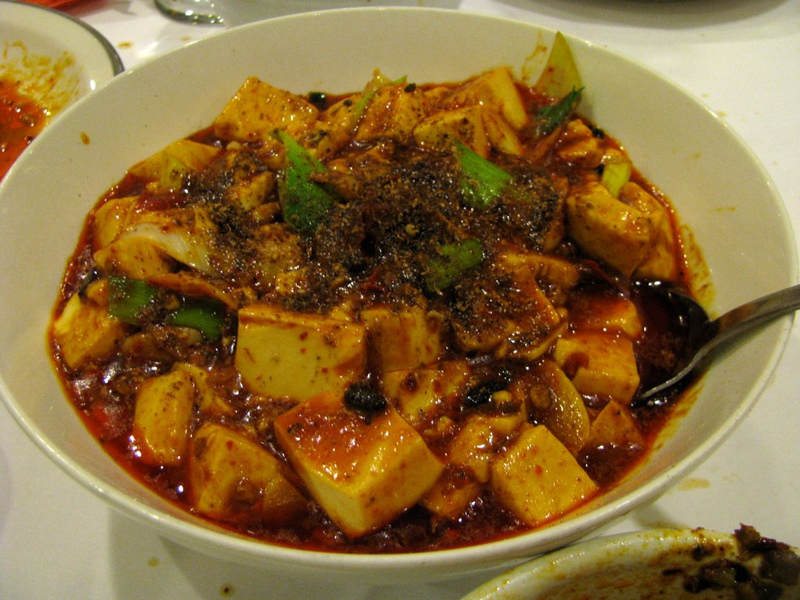 Mapo tofu with pork intestine. This is an unconventional take on mapo tofu which is usually ground pork stir fried with cubed silken tofu and chili oil sauce. 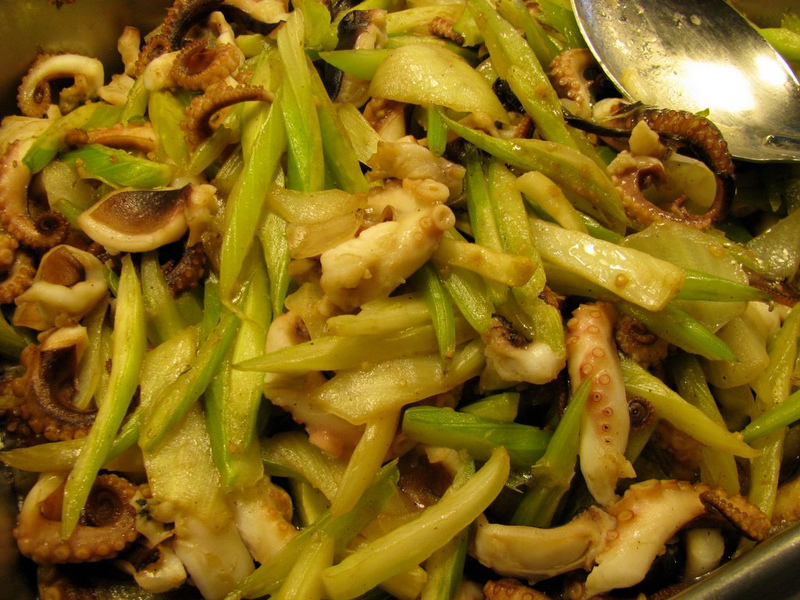 Tender baby octopus (or squid) stir fried with celery. 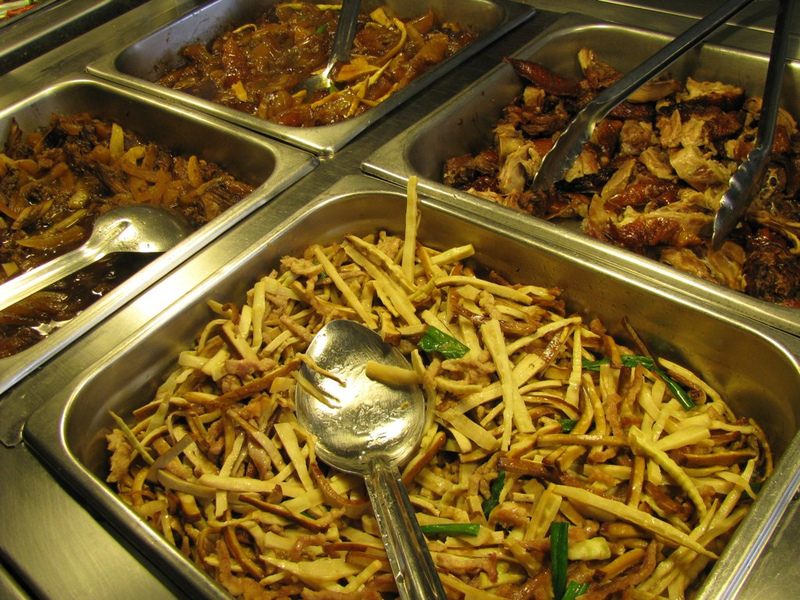 The buffet offerings at Imperial Garden are not for the faint of heart but less adventurous eaters can eat very well. 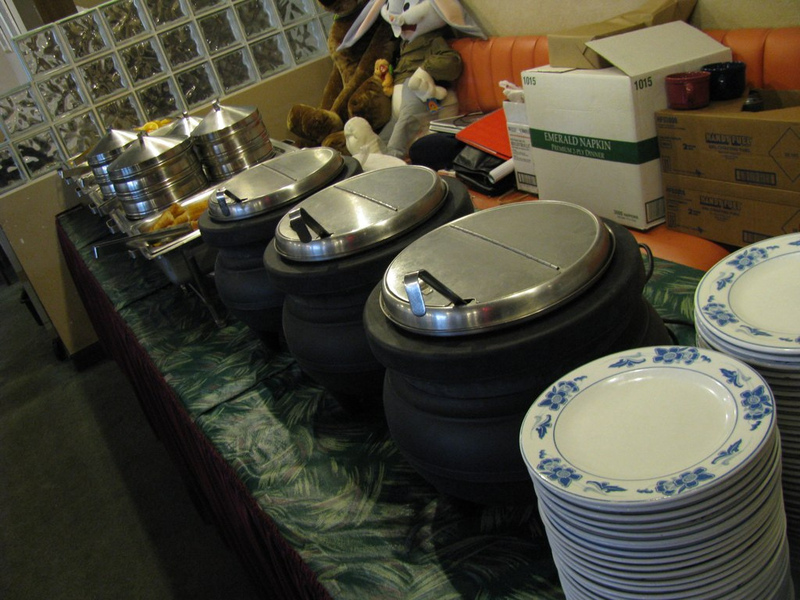 There is always white rice, rice vermicelli, stir fried bok choy, and two soups at the front of the buffet. In addition, the salt and pepper chicken wings, Japanese eggplant, and northern styled julienne potato (naturally crispy) are delicious alternatives to the more unfamiliar dishes. 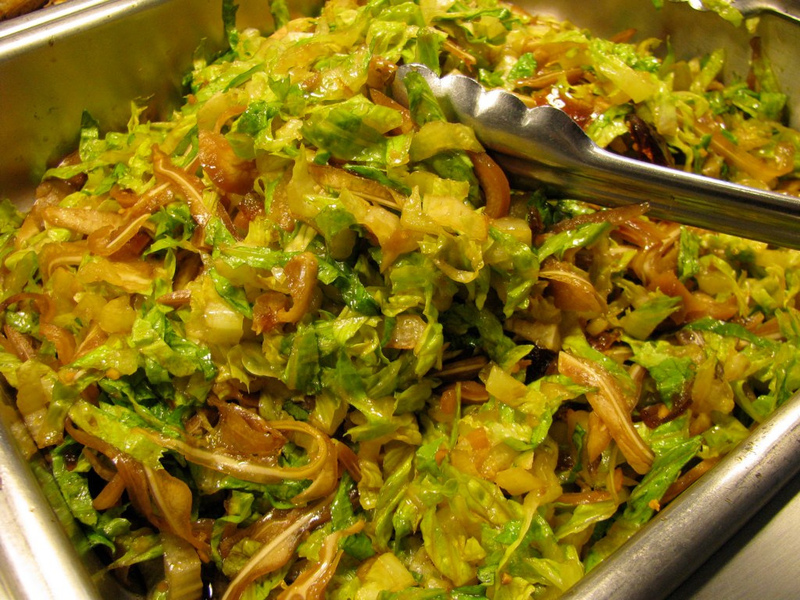 Most menu items are in the buffet and at about $13 per person, the buffet pricing is a bargain for its variety and quality. 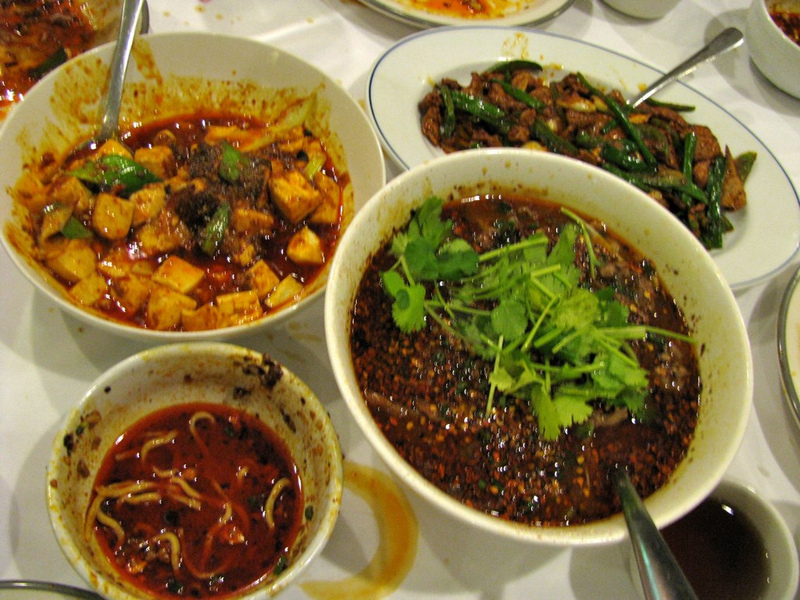 A couple of us had heard rumors of an excellent Chinese restaurant on the East Side called Lai Lai. Being that it was hard to pin down specifics such as their regional cuisine specialty, our interest was piqued and we headed east on a recent week night to see what the fuss was all about. Since there were seven of us, we were able to order quite a bit and get a good feel for their menu. We were a little disappointed to find out that there was not a separate Chinese menu, but after a little conversation with the owner who hails originally from Taiwan, we were assured that there were items with a more authentic flavor and that if need be, the kitchen would prepare special requests with a days notice. First up, the appetizers. 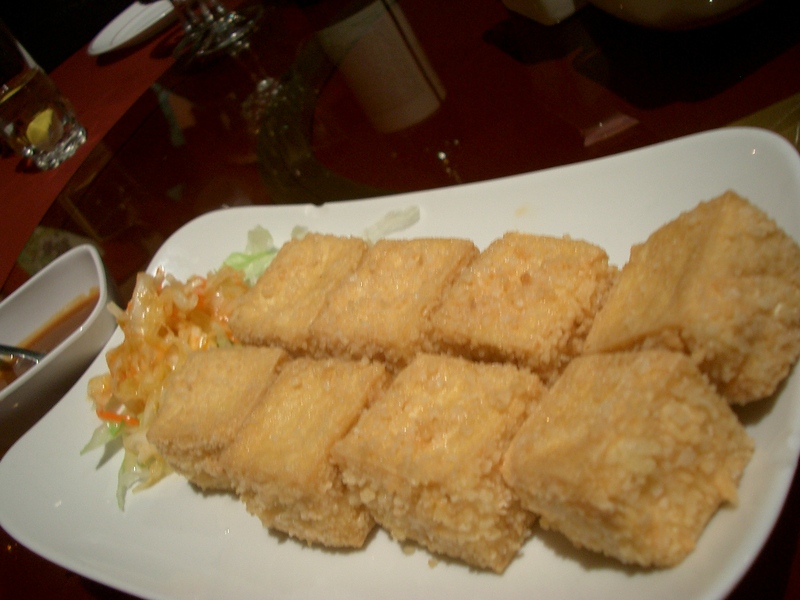 The Crispy Garlic Tofu had a delicately crunchy exterior surrounding soft tofu. The dipping sauce consisted of a mix of yellow hot mustard and duck sauce. 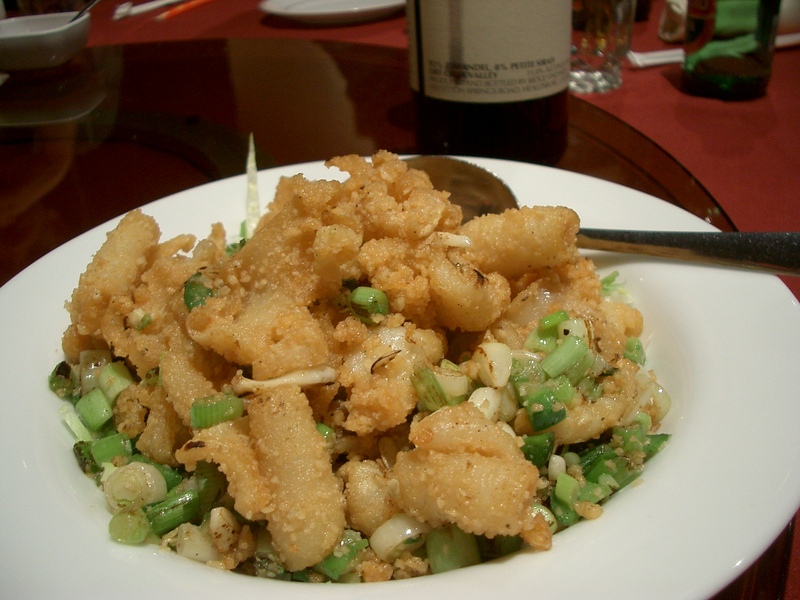 One of the appetizers on the specials menu, the salt and pepper calamari tossed with green onions is a staple in Chinese restaurants. The Fiery Wontons had good flavor from the mild peppercorn sauce but the ratio of wrapper to filling was left us wanting more. Dan Dan Noodles is really a misnomer. 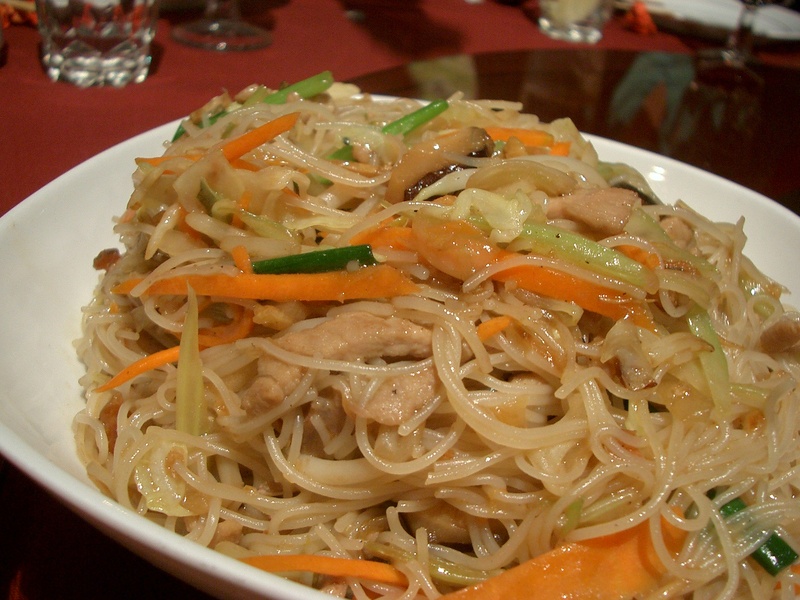 This dish should really be renamed noodles in peanut sauce. The Smoked Duck was by far everyone’s favorite at the table. So much so that we ordered another serving of it. 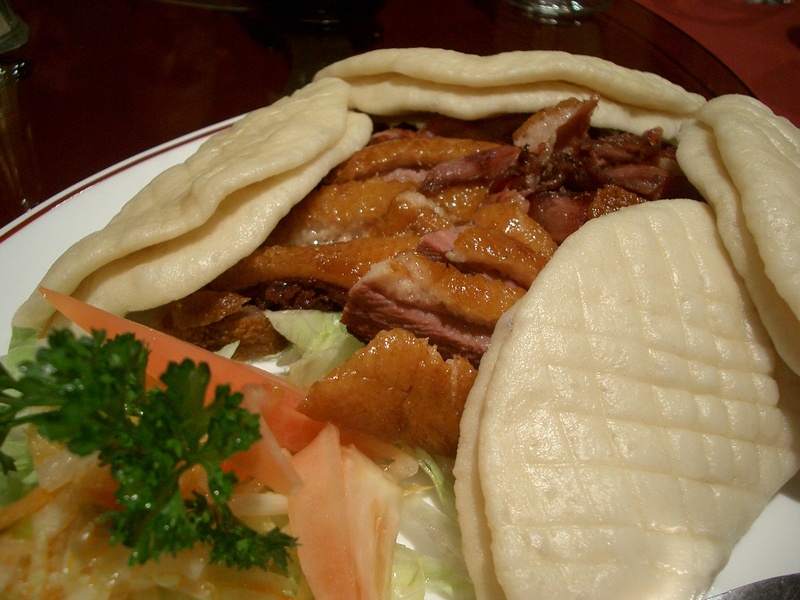 The duck is placed into these taco-shaped buns (bao), maybe with a smear or two of hoisin sauce, and eaten immediately. While some of us opted out of the bao (it was tough, especially when it got cold), the flavor of the duck was spot on, infused with tea smoke and much like ones I’ve had in Asia. The Taiwanese Style Noodle was more wet than we were used to seeing and nothing in the flavors jumped out at us as particularly Taiwanese. This is a good detour if you’d like to try something other than Lo Mein. Coming from a group of adventurous eaters, we were all surprised to see that the Twice Cooked Pork was very lean. 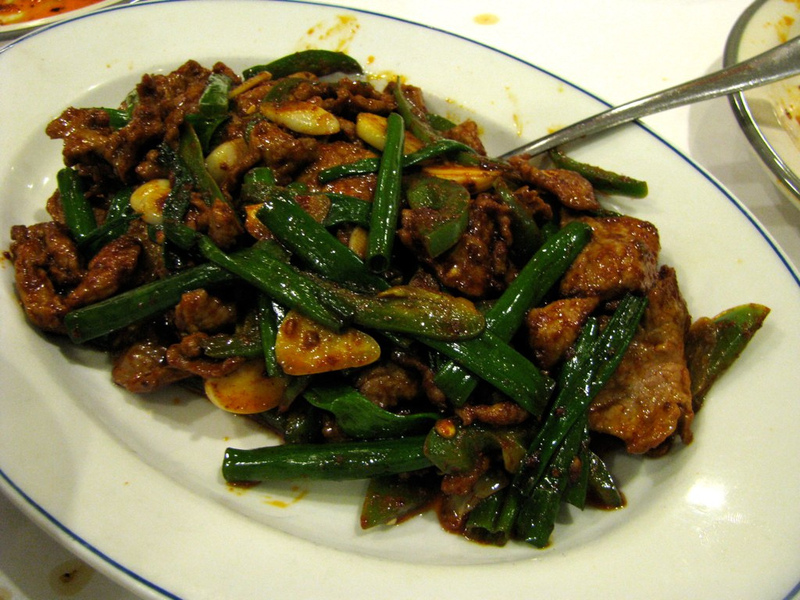 Traditionally made from pork belly, Lai Lai makes their’s with lean pork to make it more accessible to their customers. This was also more saucy than we were used to. 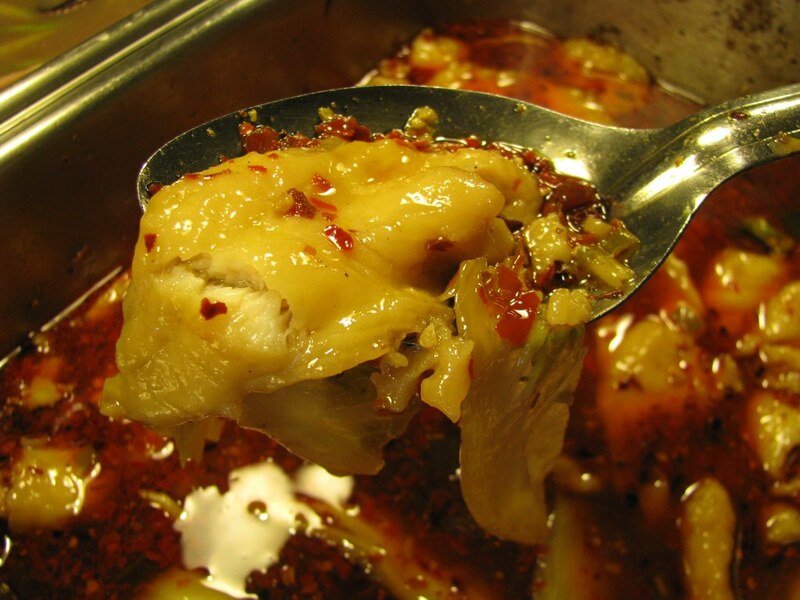 Fiery Szechuan Fish Filet with just the tiniest hint of numbing Sichuan peppercorns. 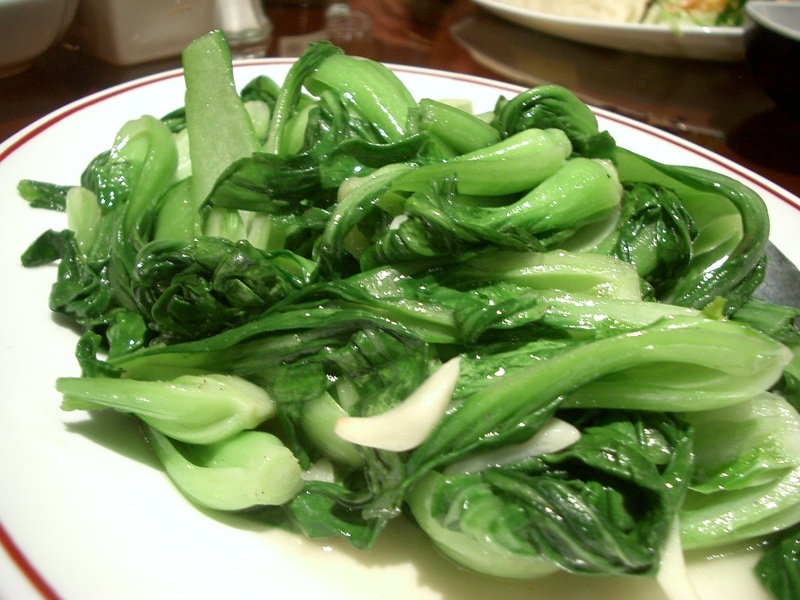 Any respectable Chinese restaurant has to have excellent greens that are simply stir-fried. Lai Lai was no exception: one of the first plates to be cleaned, the Shanghai Bok Choy (also known as baby bok choy) was still crispy with just a hint of garlic. The Sa Cha Beef with Choy Sum was also well received. The owner offered to make us this dish off the menu since we were looking for more Taiwanese flavored dishes. 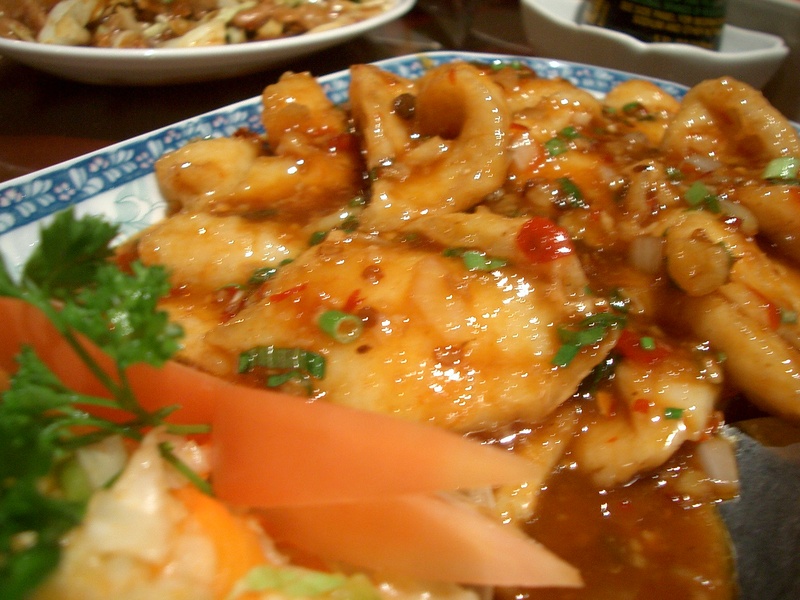 Sa Cha is a type of condiment similar to oyster sauce but with a smokier and seafood-y flavor. 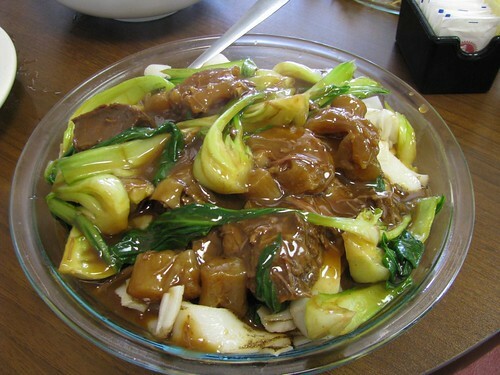 Here, it is stir-fried with choy sum (closer to bok choy than Chinese broccoli) and beef. Though this was not as fancy as some of the above dishes, it was home-style and went great with a bowl of steamed rice. We had hoped that the menu offerings would appeal to both novice and experienced palates with the inclusion of classic Chinese appetizers such as marinated cucumbers, vegetarian duck, and drunken chicken. Despite this, we cleaned every single plate and were so full that we didn’t get a chance to try the lauded desserts in Lai Lai’s display case. Our expectations were high but nonetheless, we had a good meal with great company. 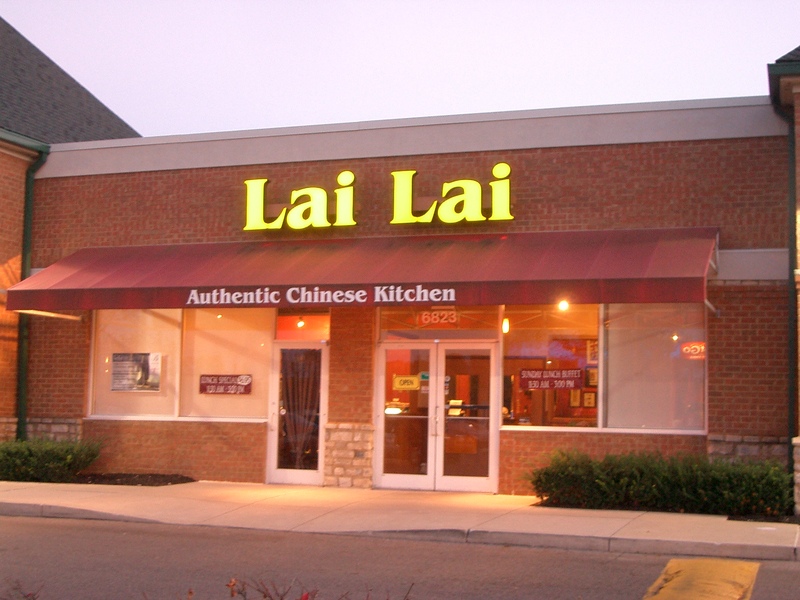 If we’re ever hungry, east of 270, we’ll be sure to keep Lai Lai’s in mind.